On Tuesday March 26, 2019 Elliottwave-Forecast.com (EWF) hosted a Free Crypto-Currency Webinar for our Subscribers and the General Public. In the webinar we discussed a bit about who we are here at EWF as well as what we do covering 78 different financial instruments. We also have a Free Crypto-Currency page. Here we periodically update our Elliott wave forecasts for Ethereum (ETH/USD), Dash (DASH/USD), Ripple (XRP/USD), and Litecoin (LTC/USD). 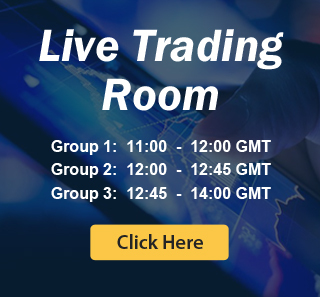 In the webinar we looked at multiple time frame Elliott wave analysis on all 4 of the Crypto Currencies listed above as well as Bitcoin (BTC/USD). After a tumultuous 2018 we think the Crypto world is ripe for the next major move. While we cover BTC/USD every day in our Group 3 services we offer our views on the latest trading opportunities for those other four coins. One of the main themes of the webinar includes our correlation analysis between Bitcoin and the US Dollar via DXY. DXY has an incomplete bullish sequence from the February 2018 low. 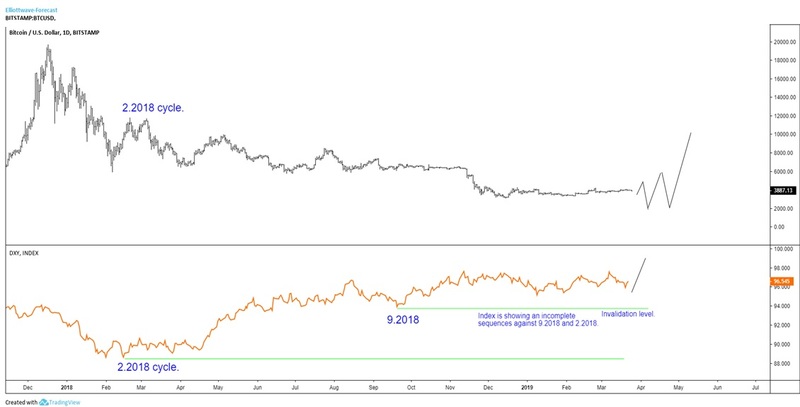 Consequently we believe Bitcoin still has a high probability of extending lower 1 more time. Since Bitcoin is measured primarily in US dollars a stronger USD should equal weakness in Bitcoin. Until the USD completes this bullish sequence then we don’t expect this any current Bitcoin strength to be sustainable. In the webinar we show our best strategies to trade this thesis in the near term. Learn more about our methodology with a Free 14 Day Trial of any 1 of our Groups. And, to get everyday access to our Bitcoin analysis be sure to check out our Group 3 Subscription here.